September 01, 2017, 6:03 p.m.
Sidewalks cluttered with trash bags. Dilapidated park benches. Traffic signs too dirty to read. None of these things are pleasant. The good news is that the majority of people living in the country&apos;s 20 most populated metro areas consider their city clean. 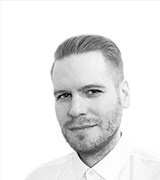 To what degree, however, is another question. 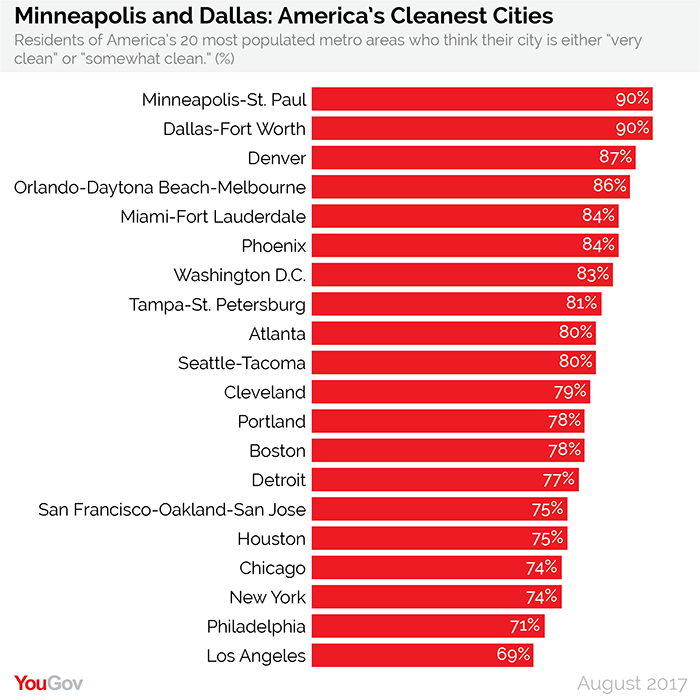 A new YouGov poll found that residents of Minneapolis-St. Paul and Dallas-Fort Worth were the most likely groups of individuals to think of their respective city as either "very clean" or "somewhat clean," with both cities coming in at 90%. Denver came next (87%), followed by Orlando-Daytona Beach-Melbourne (86%) and Miami-Fort Lauderdale (84%). Residents least likely to call their city clean include some of the more populated ones, such as Los Angeles (69%), Philadelphia (71%), and New York (74%).